You're learn how to become an agent for transformation making massive impact in all your interactions from three internationally recognized thought leaders, entrepreneurs and facilitators. You are standing at the front door to this new way of living, this new way of being. You are standing at the front door of your place in history as a leader in the next stage of human evolution. You are here because you have the ability to help us reach critical mass for humanity, but you can only do so if you upgrade your thinking frameworks and apply yourself to the greatest global game possible. Over the 6 months of the course you’l have bimonthly facilitation master class calls with Bryan Franklin, Jennifer Russell and Kane Minkus. You’ll have access to this comprehensive ‘Business in a Box’ facilitator training including all the thinking frameworks and Conscious Dimension Discussions® in a group setting. 12 (60 minute) training calls (2 per month) – one part content one part 1:1 coaching. You’ll receive a detailed resource guide which contains a break down of how to facilitate the Impact Models®, thinking frameworks, integration exercises, self reflections & templates for delivering a transformational experience in a group setting. This manual is a blue-print for how to get paid to deliver transformative conversations to others. Get access to our private client Recode Mentorship Forum where you can ask Bryan, Jennifer & Kane ANY question you have about your Business, Project or Career for 12 full months and receive mentorship and guidance. Bryan, Jennifer, and Kane will be available for office hours on this Recode Forum. A powerful, 3-Day Live Training in the San Francisco, CA area that pushes your ability to facilitate transformation to the limit. Get live feedback and engage in a closed door intensive to launch and strengthen your facilitation practice. 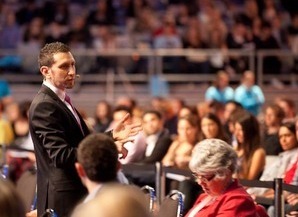 Be engaged in one of the most cutting edge training forums for personal development experts and global messengers. 24Videos to step you through the basics of Neuro Linguistic Programming including advanced dimensions of rapport. NLP is the study of the relationship between how we think, communicate and behave. By modeling the thinking strategies and emotional states of high performers, we can learn how to adopt far more successful models of behavior – effectively ‘modeling excellence’. Learn the art of 1 on 1 sales from two of the top trainers in the world. Master the emotional sales process and become a world class closer while learning to sell from your heart and connect deeply with your clients. Use these skills to accelerate your facilitation business (or any business. 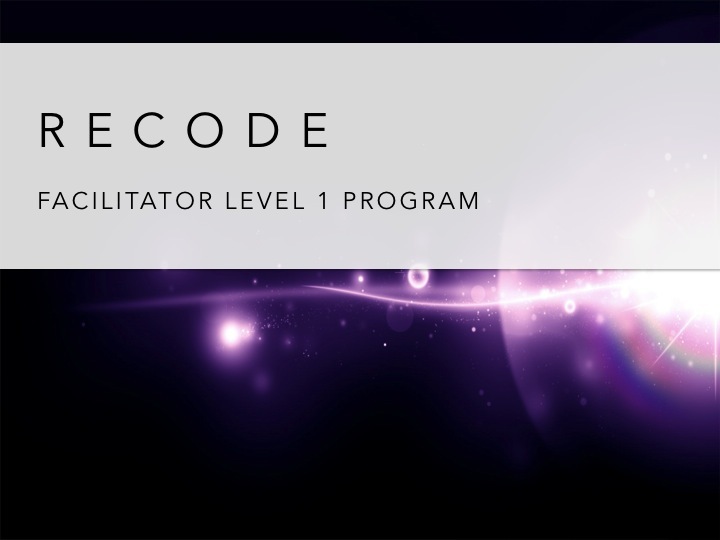 You’ll receive 7 license codes for the Recode Initiator program which you can resell or give away at your discretion. Use these licenses to start your first Recode transformational discussion group. We’ll send you a special link to your inbox where you can fill in the contact information for your participants.